I am working since more than 10 years as a SAP-BW-Consultant in utilities companies. In these companies, the main focus is the extraction of billed and unbilled revenues from the source system SAP for Utilities to BW. A result of these mass data is a long extraction time and a bad performance when reports with high granularity are executed. Another requirement is the interconnection of data from different sources. Therefore, having an Enterprise Data Warehouse is an important solution to manage all reporting requirements from all level of companies. The EDW as a “Single point of Truth” consolidates data across the enterprise in a standardized data model. stores just a few records or really high volume data. This was quite challenging to me and my customers, because doing changes afterwards caused some pains. Therefore the simplification of data models supported in the latest SAP BW on HANA release, plus having the performance of HANA in mind, eases to implement and administrate the BW system significantly. Moreover the new technology the administration of data structure and data flows has been switched to a new user interface in SAP HANA Studio. Each of these improvements itself may justify an upgrade to SAP BW on HANA, but all improvements together are in my opinion a no-brainer and hence also convinced many of my customers to adopt it, who I’m supporting in the transformation. In the result, SAP is now offering the SAP HANA-optimized BI Content for Utilities. This comprehensive content is fully leveraging these new SAP BW on HANA features and considers the requirements of utilities companies. It allows my customers to combine this information with data from other applications such as Controlling, Financial Accounting and Human Resources. Now it is really easier and faster for customers and partners to build up an EDW corresponding to the said requirements. 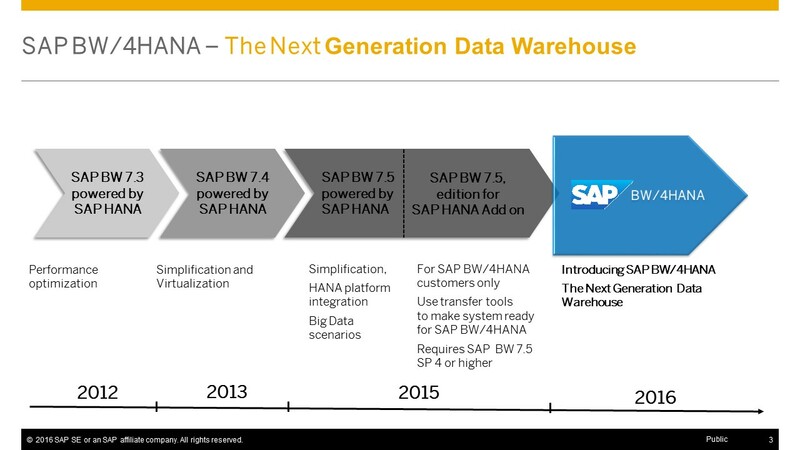 SAP BW/4HANA, the next generation of SAP Business Warehouse, is even more optimized for SAP HANA. BW/4HANA offers more flexibility in data acquisition and reporting. It solves analytics problems in seconds. The inconvenient administration in BW is solved too. A full view on data flows from source to target, short navigation paths and a fast runtime in loading requests meet the requirements from customers. The SAP HANA-optimized BI Content for Utilities is also usable for SAP BW/4HANA. Many years I was spending a lot of time in a project with finding a good compromise between data model sustainability, flexibility, performance, and administration effort. I’m so happy that with SAP BW on HANA and SAP BW/4HANA I’m now able to provide my customers a state-of-the-art Enterprise Data Warehouse which supports current and future business requirements rather than finding compromises. Now available: Product documentation for the SAP BW/4HANA Content Add-On 1.0 SPS01, including Business Content for Utilities.